How annoying is investing again and again in earbuds, isn’t it? The only option you are left with is to buy another pair whenever your earbuds stop working or show some defects. It is more disheartening to the users when one side of the earbuds work and we are unwillingly forced to dump it as many of the local repairing shops often refuse to repair, saying that better you dispose it and buy a new piece. Do you have only an option of throwing your one side working earbuds which somehow are still useful to one of your ears? Some people easily drop their old pair and purchase a new one, even if there is a minor issue in their earbuds. Yet, there are some people who prefer to go for the repair option rather than buying brand new earbuds . You will be pleasantly surprised to know that you can repair the earbuds on your own with our below guide. 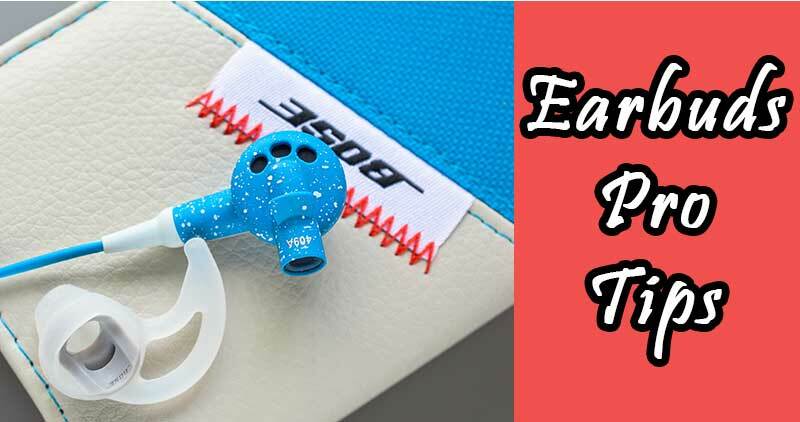 This article is focused to unveil the ins and outs of earbuds and brings solution to your question “how to fix earbuds that work on one side” or its repair in case its one side works. Most earbuds do not last for a long time; majority of them after using for a while start to get weakened cables and end up breaking because of continuous movement. Some headphone producers utilize cables which are more durable and toughen the places where the cables connect to the jack plug in and the phone themselves. So, these should be looked upon. If your earbuds are working only on one side, you must first look for the common reasons that cause this problem! The major problem in earbuds is the sound that comes only from a single side. If you own a pricey pair of earbuds, abandoning them is not always the most productive option. There can be a variety of reasons that your earbuds are working only on one side. The major cause is the wires surrounding the audio jack have been bent multiple times which has lead to a wiring short. In most of the cases, spill of water or moisture are also responsible for the damage of the parts. Usually jack breaks mainly due to lack of care on behalf of the user. It is actually not that common fault in earbuds when compared to other underneath faults. The most common fault that you must have experienced then and now is broken cable. Though the cable is flexible as wires should be, they break due to its excessive use as well as lack of care. Be a little vigilant in keeping your earphone and do not let its cable form knot or get messed up with each other. Cables typically break due to folds and dangling. The more you use a gadget, more likely it is open to faults. Pick the right pair for yourself. You cannot do anything on having irreparable fault in your earbuds and only choice left with you is to discard and throw it in scrap. 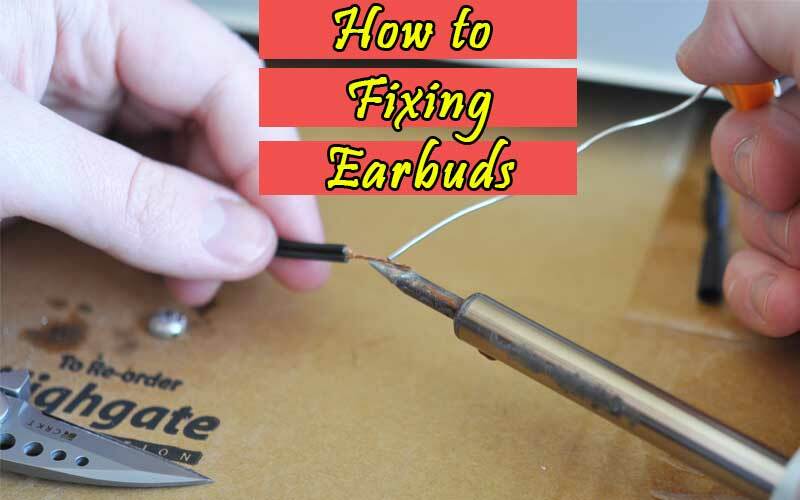 But if fault is found in only one earbud and rest of the parts like jack and cable are functioning properly, you need not to discard your ear phone, rather get it fixed. I am sure that you want to make maximum use of your gadget irrespective of the fact that how expensive or cheap your headphone is. Check out underneath and learn to fix your earbuds on your own. To fix your earphones in no time, make sure you have the stock of following devices that are needed to repair. The first thing to do is to cut the jack with wire cutter or razor blade, whatever is available. To ensure proper length to your earbud, make sure to cut the possible closest point of wire attached to the metal jack. Separate the wires from each other with the aid of razor blade while replacing jack or insulating the headphone cord. Be little careful as cables are extremely thin and delicate. Cutting them abruptly may make you lose the desired length of your headphones. Remove the insulation from two of the three wires. You are next supposed to expose 1/4 inches of wire of all covered wires. The uninsulated wire is a copper wire and also basis of the unit. Wrap the wires with plastic cover or sleeves. This step will prevent you from forgetting to fix it back in place. Check your headphone channels by placing exposed wires to the tip of battery. The working side of earbud will produce a popping sound. You also need to be careful while touching the exposed wires on battery as they shouldn’t be placed for long to avoid damage to your speakers. Solder the wires together i.e. left channel to left side and right channel to right side. You can also prepare for soldering and make it handy by applying little solder on each and every wire. You should then go ahead with the process of tinning which means melting of two solder wires together and joining them. Finally now you may slide the jacket back over the newly soldered wires. 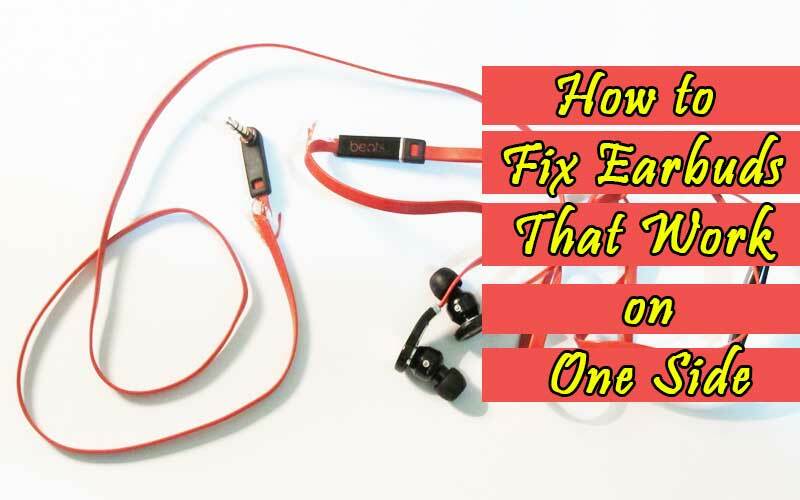 With this simple procedure, you can easily repair your earbuds in no time and get them back in working. If you still find them working the way they were before, you can approach a professional. 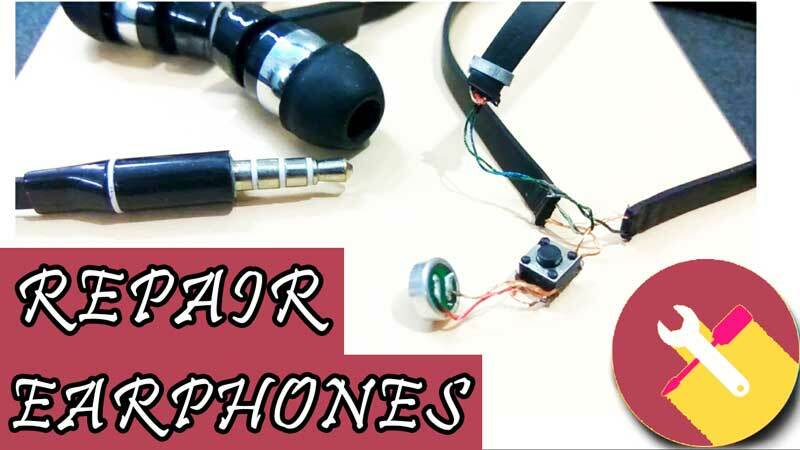 If you do not want to spend your money on new headphones, then repair is really a good option. It is highly recommended to take adequate care of your headphones for a longer life. Over time, regular use of your earbuds can cause them to produce sound in a single ear only or sometimes the entire piece stops working. Here are some pro tips to make them more durable and increase their functionality. Some people pull the cord tightly when wrapping their earbuds. This is not the way it is supposed to be, since it can put pressure on the wiring and can even break it. Loop the cord around your hand gently while leaving some space, instead of wrapping it around your smartphone. By pulling your hand, wrap the remaining wire in the looped cable’s center. You can now tie the loop together. But remember to pull it more gently as compared to a regular knot. Earwax and dust can get in the way of your earbuds which can off the sound or make it quiet. If you are having in-ear earbuds, you can pull their covers off and wipe off the debris. If your headphones have mesh screen covers and have dried earwax, wet the mesh screen with less than 3% hydrogen peroxide for 2-3 minutes so that the wax can become soft and the cleaning could be much more efficiently. If even after this cleaning procedure, the one ear is sounding quiet, you can try to blow into it. This will assist in realigning a curved speaker. Each connection in the wiring of your earbud can be the reason of its failure in functioning. These can not only be your earpiece or plug, but these can be the volume sliders, remotes or in-line splitters. An ideal way to handle your earbuds is that each time you have stopped using your earbud, you need to pull on the plug directly instead of pulling out the wire. You should also not let your earbuds dangle off at the table’s corner. No matter how much you are caring for your accessory, some models include weak wiring that falls with the daily use. Always keep in mind that a high-priced model does not signify its quality. Therefore when you are buying your earbuds, look forward to the models that comprise of thick cabling. Right-angle plug models also help in the protection of the wire end when the user pulls the plug out. So, one should prefer such models for an extended headphone life. Do not ditch your favorite pair of headphones just because they are not performing from one side. You have to first find out that they can be fixed at home or not by following the above guide. Earbuds tend to stop working or break down when they are used harshly and frequently. So, use them in a delicate manner and carefully for best results.